The quality of social media increased a few levels this week when Mountain Sanctuary came alive on Facebook & Instagram. #igers will be kept up to date with the daily happenings of Mountain Sanctuary, whether that be pictures of a family of dwarf kangaroos (a.k.a. pademelons) hopping through the backyard or lost hang gliders getting caught on the roof (yet to happen, but still sort of hoping it will one day soon). And yes, there will be plenty of pics taken from directly above food, ensuring you are salivating at the sight of a breakfast you wish was yours. Keep an eye on Facebook for (some would say ‘more important’) updates about our newest news, latest offers and special events.  And if you have had the privilege of staying at Mountain Sanctuary, you will no doubt be pleased to know you can rate, like and share our page with all of your real and non-real friends. Whether you’re an #iger or a facey, you can find us at MountainSanctuaryBnB. Go forth, follow & like. 2 Responces in Facebook & Instagram up! I can’t seem to find your Facebook page. You can also type the above link into any internet browser. Let us know if there are any problems with either of those methods.